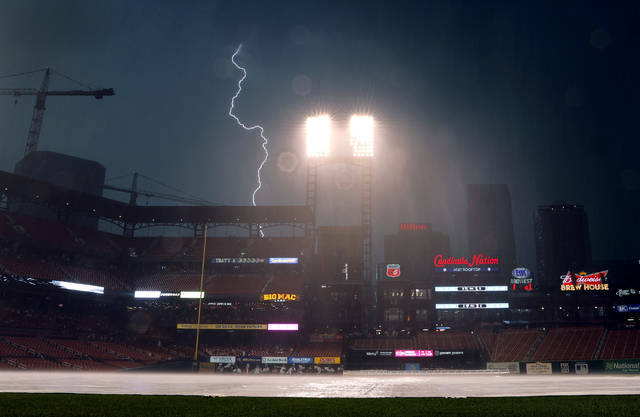 ST. LOUIS (AP) — Jose Peraza had a career-best five hits, Scooter Gennett drove in two runs and the Cincinnati Reds waited out a pair of rain delays before beating the St. Louis Cardinals 8-2 on Saturday night. Peraza’s 5-for-6 performance came after he had registered four hits on four previous occasions, most recently on April 27 at Minnesota. He tied the game at 2 in the seventh when he singled on a chopper up the middle that bounced off Hicks’ pitching hand to drive in Dilson Herrera. Reds: RF Scott Schebler departed in the sixth inning after running into the right-field wall after catching Molina’s fly. 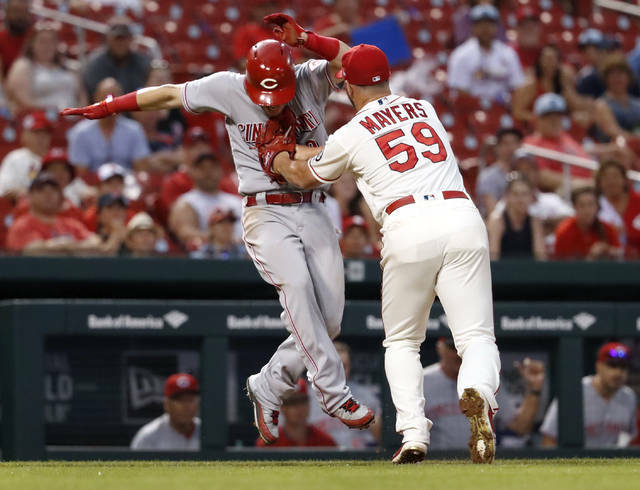 Cardinals: OF Tyler O’Neill began a 20-day injury rehabilitation assignment with Triple-A Memphis, where he went hitless in three at-bats Saturday with a strikeout at Omaha. O’Neill has been sidelined since July 5 with a left hamstring strain.